The following are artist’s renderings of some of the areas that will be improved as part of the approved bonds. 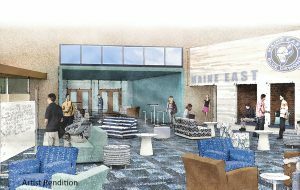 The rendering above shows what the library at Maine East H.S. might look like as part of the referendum projects. 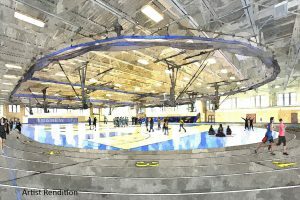 The rendering above shows what the field house at Maine West H.S. might look like as part of the referendum projects. 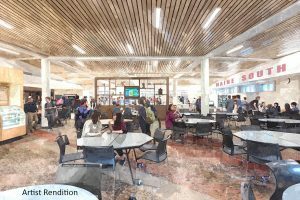 The rendering above shows what the cafeteria at Maine South H.S. might look like as part of the referendum projects.